DirtZero (www.DirtZero.com) is seeking a part-time employee to do fleet washing for our company in Little Rock, Arkansas. We are a 100% commercial/industrial pressure washing company based in Nixa, Missouri (6 miles south of Springfield, Missouri). We wash semi-tractors, semi-trailers, box trucks and company vehicles. We wash industrial equipment and machines. We also do a large amount of concrete and asphalt surface cleaning. That equates to 110-130 units that will need to be washed out of the Little Rock hub weekly. It also means that around 6-8 hours each week will be spent driving among the 4 weekly locations. This is a part-time position. It should take between 20-30 hours per week (including drive time and paperwork). You will not be required to provide anything other than appropriate footwear, and in the near term your own pants/shorts. Compensation is by the job. The pay for 110-130 units in the 4 locations is a total of $400 each week they are washed (if weather permits). To put a fine point on it you will be paid $400 WEEKLY to wash 100-120 units on each of the weekly runs. One full day you will wash 80+ units in Little Rock. Then on a separate day you will drive to Hot Springs and wash 15+ units. Then drive to Hooks, Texas and wash 10+ units. Then head to Stamps, Arkansas and wash 1 unit before returning to Little Rock. This run will happen every 4 weeks. You will wash 110+ units and drive approximately 7.5 hours. For that effort you will be paid $400. One full day you will wash 80+ units in Little Rock. Then on a separate day you will drive to Pine Bluff and wash 6+ units. Then drive to Monticello and wash 5+ units. Then head to Camden and wash 10+ units before returning to Little Rock. This run will happen every 2 weeks. You will wash 110+ units and drive approximately 5.5 hours. For that effort you will be paid $400. One full day you will wash 80+ units in Little Rock. Then on a separate day you will drive to Hot Springs and wash 15+ units. Then drive to Hooks, Texas and wash 10+ units. Then head to Brinkley, Arkansas and wash 1+ units before returning to Little Rock. This run will happen every 4 weeks. You will wash 110+ units and drive approximately 7.5 hours. For that effort you will be paid $400. • Pine Bluff, Monticello, Camden must be done in the same trip. • Hot Springs and Hooks Texas must be done in the same trip. If it is the Stamps week it must be done in that trip as well. If this sounds like something you would be interested in we would love to speak with you. To start that process you can send an email to employment@DirtZero.com, go to our website and fill out our short employment application https://www.dirtzero.com/about/employment/, or simply reply to this post. Thanks for your interest! 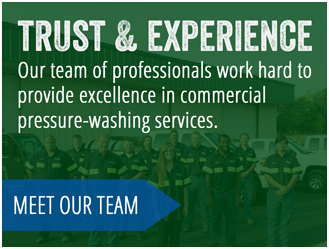 DirtZero (www.DirtZero.com) is seeking fulltime employees to do washing for our company based from our Nixa, Missouri location. 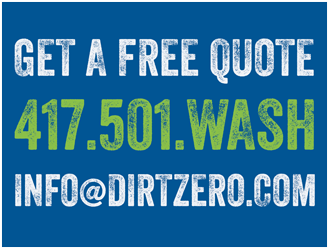 DirtZero is a 100% commercial/industrial pressure washing company based in Nixa, Missouri. We currently provide our services in Missouri, Arkansas, Kansas, Iowa, Nebraska, and Tennessee. We fleet wash semi-tractors/trailers, box trucks and company vehicles. We wash industrial equipment, machines and structures. 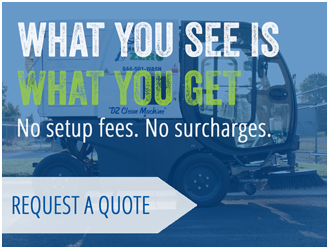 We do post construction cleanup and do a large amount of concrete and asphalt surface cleaning each year. We provide high quality, professional services to each of our customers. Internally we strive to provide a workplace and culture that values professionalism, excellent company presentation, high proficiency of our trade, and accelerated production. Full training is provided. Company tools, equipment, uniforms and vehicles are provided to the crew workers. You must be teachable, motivated, and able to travel overnight once or twice a week. We are looking for a team player; however the bulk of your time will be spent working independently. You must be able to physically lift 75 lbs routinely, work outdoors in all four seasons, and be a “self starter”. Salary is based on experience and skill set. DirtZero is a drug free work place. Must have a valid driver’s license, and pass a background check/drug screen. If you are interested in a position with our company please visit our website http://www.DirtZero.com/about/employment/ and apply. Compensation: Up to $20/hour (or more depending on performance and experience). Employee benefits: (following 60 days of employment): ACA compliant health coverage (NO cost employee coverage), $50,000 life insurance (employer paid), Simple IRA (employer matching), short term disability (NO cost employee coverage), paid time off, 5 paid holidays, annual gear allowance, overnight per diem, and cell phone allowance. Products available at employee’s expense: Family health, dental and vision coverage. Come join us. Together we can achieve success! If interested in a position with our company, please complete the form below. You can also attach your resume (optional) by clicking the “Choose File” button. Please use this area to add any information about yourself that you would like us to know.